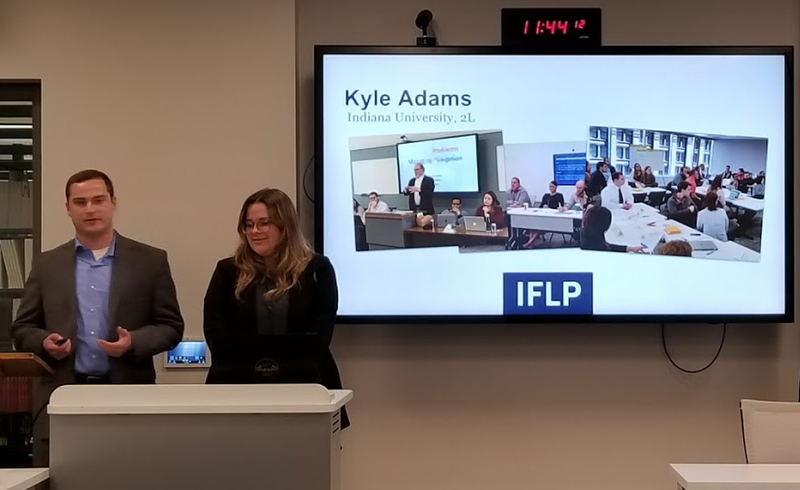 Law students who successfully complete an IFLP boot camp are placed in a paid internship with a program partner where they can put into practice the skills and knowledge they gained. Internships are offered at corporate legal departments, law firms, alternative legal service providers, legal tech companies, and public service organizations. Internship placements span 10-weeks or 7-months. Ten-week internships begin in early June, immediately following the foundational boot camp, and conclude in August. These placements are open to law students from participating law schools. Seven-month internships also begin in early June, immediately following a boot camp, and run through December. These placements are open only to rising 3Ls from participating law schools, and are best suited for students who can obtain credit from their law school. Internship placements are either traditional or supervised. It takes effort to supervise interns. For employers that are not in a position to onboard and manage interns themselves, we offer a solution in partnership with Elevate Services, a founding sponsor of IFLP. The Supervised Internship Program gives both the employer and the intern the best possible experience while being respectful of existing capacity and time. Employers gain value from having an intern for 10 weeks or 7 months, and interns have meaningful projects to work on. Under this model, Elevate and the employer jointly define projects for their intern and select one or more IFLP interns. Elevate onboards and supervises the interns. The employer pays a flat fee for interns that covers their compensation and the service provider’s actual costs. In 2018, Univar—a Fortune 500 company—had great success with a supervised internship. Univar was undergoing a major restructuring that consumed all its internal bandwidth. General Counsel Jeff Carr needed the extra hands and the intern price point, but his team lacked time for daily supervision. He hired an IFLP intern supervised by ElevateNext, a law firm affiliated with Elevate. Carr recently told a group of fellow Fortune 500 general counsel, “I just can’t say enough about the importance of this initiative as well as the quality of the program and the interns. Our experience was incredibly positive.